Once the restaurant is set up and functioning, the next thing to do is to bring in new customers and retain your older ones. Loyal customers are worth much more, as old customers tend to repeat their orders, spend more, and also recommend it to their friends. Any business earns more from its repeat customers, no matter what the industry. Also, it is more expensive to acquire new customers. 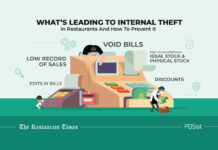 This is the key reason why customer retention is necessary for restaurants. You can achieve customer retention only when the customers are completely engaged in what the restaurant has to offer. Thus arises the need for customer engagement for restaurants. However, building loyalty among the customers is a tricky task, and cannot be accomplished by great food and service alone. This gap can be bridged through technology. 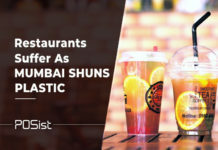 In this article, we will discuss how customer engagement for restaurants can be boosted through the effective use of CRM technology. As a bonus, try these essential customer retention tips that are sure to bring in repeat business. Restaurant customer engagement is a vital part of restaurant operations. 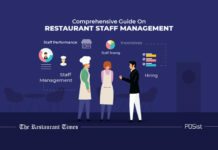 Time, resources, and a smart restaurant POS are effectively required to creating customer interest and turning it into retention, to gain repeat customers. The struggle is also neverending because of the abundance of competition in the industry. In this article, we have explained the vital points of customer engagement for restaurants, and how to achieve it. The first step to customer engagement for restaurants is getting the customer back for a second time. When a customer visits your restaurant for the first time, he/she is a first-time customer. When he/she comes for the second time, he/she become a returning customer. Now if this customer comes to your restaurant again and again, then he/she becomes a repeat customer (-The Bees Knees of All Customers). Customer engagement for restaurants is all about converting the returning customer to a repeat customer. Once you’ve impressed the customers with your delicious food and hospitality, you must take measures to ensure their return. Loyalty programs play a major role in enticing customers back to your restaurant. Offer your guests reward points that redeem into discounts or a free item on your menu, to keep them coming back for more. 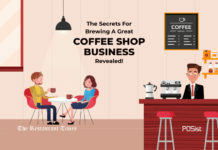 The important thing to remember is that generic loyalty programs don’t work; you need to customize them according to your restaurant and your customer base. 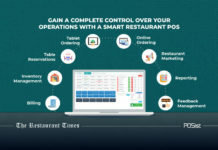 OneLoyalty, NextBee, and Accentiv are some of the loyalty programs that you can use for your restaurant. Another thing that leads to failure of loyalty programs is that a major chunk, of loyalty program members, are inactive. This is due to several reasons, the biggest one being the dependency on loyalty cards. In case a customer forgets to bring their membership card, he is as good as a new customer and cannot avail any offers or discounts. This is where POSist helps you. 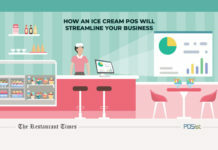 POSist supports cloud-based loyalty programs in which all the customer data is stored in the database. In this manner, even if the customer forgets to bring the card, they can use their phone number for identification. 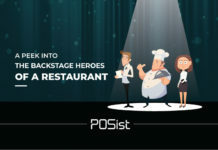 You can easily integrate the customized loyalty program of your own choice into the POSist software without any hassles. Nothing pleases people the way special treatment does. You can further delight your customers by sending wishes and greetings on their special occasions. Most people go out to celebrate their birthdays and anniversaries, and when you send them a personalized greeting, chances are, they’ll remember you when deciding where to eat. Offer your guests a discount, or give them a meal on the house. Apart from increasing customer delight, this is also a great method to improve sales as the person celebrating, usually comes in with their friends who end up ordering more. You can also use your CRM to track customer behavior. If a customer hasn’t visited you in a long time, send them an e-mail or an SMS saying you miss them. This is likely to result in a visit and also instills goodwill and delight among customers. 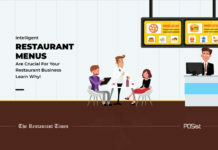 Proper marketing can boost customer engagement for restaurants. Tell your customers about the social media campaign you’re about to start, or the live band you hired to perform this weekend. Making a calendar of events and sending it to your customers so they can block their dates for future visits is an excellent idea. Whether you are launching a new dish, hiring a new pastry chef, or celebrating your Silver Jubilee, you should make your customers a part of your restaurant by including them in your milestones. We must remember that communication is a two-way street. Feedback from customers is a must for effective communication as it gives you first-hand insights into your faults, and gives you an opportunity to grow as well. It also makes the customer feel valued. It is also a good idea to share customers’ reviews with your other guests, as it lends credibility to the brand. You can gather customer feedback through comment cards or feedback forms, or send them occasional emails asking for their views on your restaurant. POSist helps you to smoothly achieve perfect feedback management by providing a paperless feedback system. Customers can give their feedback through a tablet which is integrated with the POS. 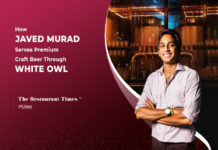 This ensures that the feedback and insights are not lost, and are customized as per the customer’s order. Customer Relationship Management is the most important part of customer service and engagement. It will be virtually impossible to achieve customer engagement for restaurants without the use of CRM technology. The CRM database gives you information regarding purchase patterns and behavior of your customers in the form of reports and helps you make informed decisions based on the data. Your guests are not just customers of a particular outlet; they are customers of your brand. Therefore, we have taken measures to ensure that your customers feel loved no matter which outlet of yours they visit. 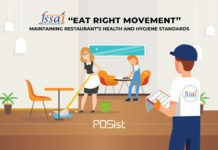 In the case of large chains and QSRs, POSist provides a centralized CRM system, where the data for each customer is shared across locations. Its centralized CRM and loyalty program modules allow the customer to avail discounts and offers, across all branches. We talked in detail about what all tactics to use to engage your customers. Now we will deliberate on the channels of achieving customer engagement. Now that you know what you need to do for restaurant customer engagement, the next step is knowing how to do it. Without the correct distribution plan, all your customer engagement methods would go to waste. Use the following channels to increase the customer engagement for restaurants. Social media, when used in the right manner, can turn out to be a useful as well as a cost-effective method of customer engagement. In the age of the Internet, more than half of a restaurant’s customer base is online. Hence, social media interaction is known to boost profits and increase brand awareness. You can use Facebook or Twitter optimally by promptly responding to customers’ comments or tweets. You can run contests on various social media channels to increase engagement or ask customers to upload a check-in at your restaurant for some freebies. 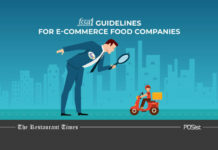 Food and restaurant industry is very popular on visual sites such as Instagram and Pinterest as images of scrumptious delicacies draws customers even more. 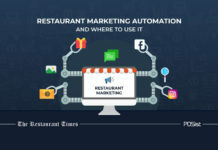 Remember to add your social media plug-ins on your restaurant website, and ask your customers to connect with you online. You can also take it a notch higher by geo-targeted advertisement. E-mail marketing is one of the most trusted ways of communicating with customers. There are many mailing tools available in the market that you can use. As soon as a customer signs up, send them a welcome message. This makes the customer feel valued. E-mails with catchy subject lines grab attention and have a higher opening rate. Keep a string of consistent communication with your customers in the form of announcements, reminders, and greetings as we have discussed above. 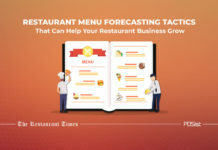 Sending a newsletter is a great way to keep your customers updated about your restaurant. You must also remember to remain consistent in sending the newsletter as you are establishing a customer base. Therefore, plan your newsletter well ahead in time. You can also offer a discount on their meal to entice customers to subscribe to your newsletter. SMS marketing is considered an effective communication channel as SMS have a high probability of being opened, and are an excellent way of converting returning customers into repeat customers. A good promotional SMS consists of actionable content that leads to high conversion rates. For example, a promotional message for your dish of the day, and the link to order it online generates home delivery orders. SMS integration with the POS allows you to send regular updates to your customers. This is especially beneficial for QSR’s as they witness the maximum number of delivery orders. Keep your customers updated by sending them SMS’s at each stage of their order, helping them to track their order and delivery progress. Most loyalty programs fail because of inactivity of members. The major reason behind this is that restaurants use the wrong or no marketing channel. SMS integration with your loyalty programs is a great way to make sure that the updates about your recent discounts and offers reach your customers. Next articleMake Your Quick Service Restaurant a Success in Just 7 Steps!